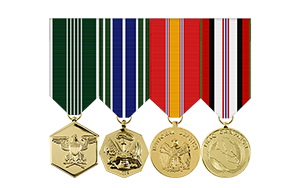 These ultra thin ribbons are the lightest official military ribbons available. Creating your ribbon rack with our thin ribbons rack builder is a breeze. Once ordered, our staff will create a beautifully hand-crafted rack with perfect order of precedence. 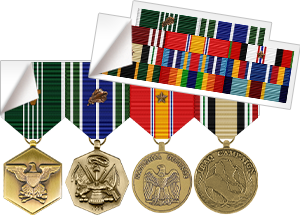 How do thin ribbons differ from standard ribbons? 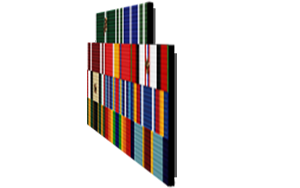 Official Thin Ribbons, vary from "Standard Ribbons" in that they do not slide on and off of ribbon racks. Instead, they are permanently fixed in place on a thin rigid backing. 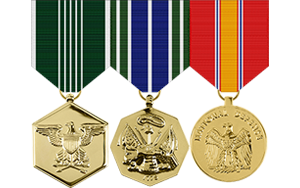 Thin Ribbons are simply a much thinner and lower profile method of wearing one's ribbons. 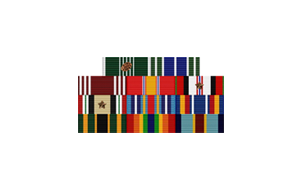 Are these official military ribbons? Yes. Our thin ribbons are crafted out of 100% American made heraldry approved ribbon stock. We take pride in each and every rack we create, and we take great care in our attention to detail. Our professional builders hand-craft your lightweight ribbons with triple-checked order of precedence. We won’t let you settle for anything less than perfection. Permanently mounted, you’ll never have to worry about your thin ribbons sucumbing to wear-and-tear. 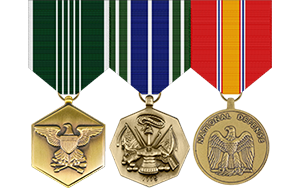 What branches of service can wear thin ribbons? 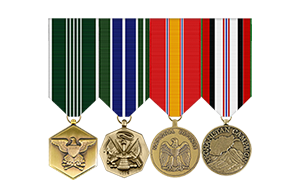 Thin ribbons are approved for all branches of service. How can I get my thin ribbons? Use our groundbreaking EZ Rack Builder to easily build your perfect award set with our thin ribbons rack builder, or call us at 1‑877‑653‑9577. We're available M-F 6AM - 5PM PST. Our warehouse will have it shipped to you within 24 business hours. 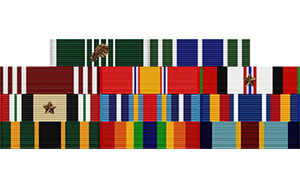 What are the most popular military ribbons?